It's always rewarding to see a table full of my desserts. 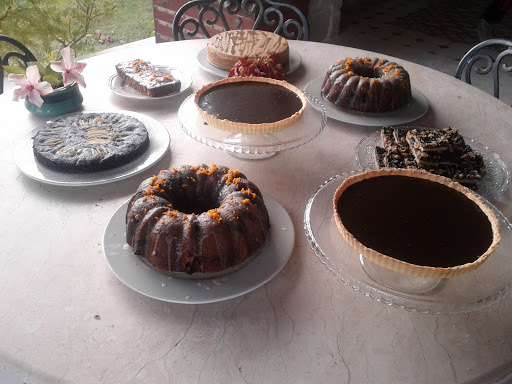 This photo shows the five desserts we made during my second day of teaching holiday recipes at the Erenler Sofrasi in Ortakent, just outside Bodrum. We had a fun group of ladies who wanted to learn some new recipes! More photos to come soon, but just wanted to share a preview. Wow...it all looks so delicious. I sometimes go to Izmir to visit my in-laws. Are you ever in the area in the summer months teaching? Fantastic, Joy! They all look splendid! 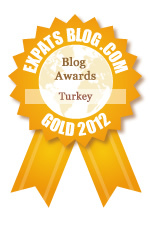 I must now read Bodrum Day 1! @ Claudia, lol, i had to work backwards with the photos I had on my phone and I just had internet access today! Will be catching up this week on posts. This table full of desserts is my heaven on the Earth. Everything looks so delicious.